This discovery route crosses private or public properties that we kindly thank you to respect. This route is indicated as a guide. In the eventuality of an incident or accident on this route, neither the Cave de Tain, nor private, nor public owners would be held for responsible. Make your visit more interactive by accessing multimedia content from your mobile! 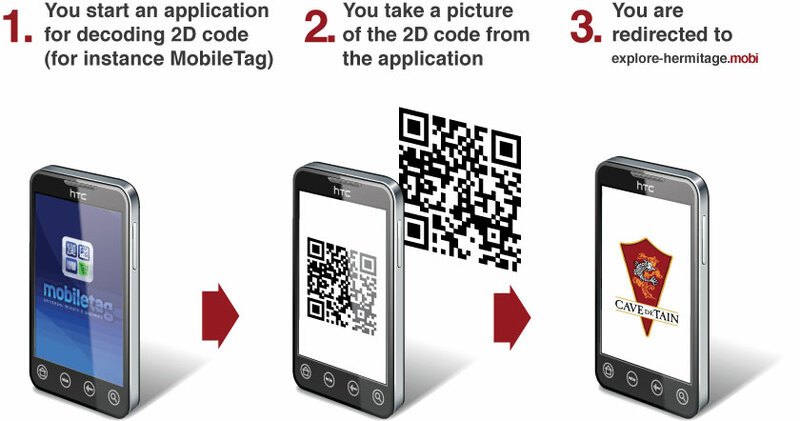 You just have to decode QR codes which are printed on the panels present at different stages from a free mobile application :MobileTag, QuickMark, BarCode scanner, etc.